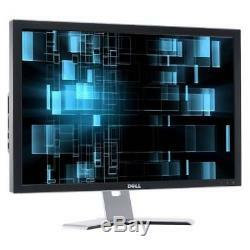 Dell Ultrasharp 3007WFP 76 cm (30 Zoll) LCD Widescreen Monitor 2560x1600 DVI VGA. 27.2 in x 7.9 in x 18.5 in. LCD monitor / TFT active matrix. 2560 x 1600 at 60 Hz. 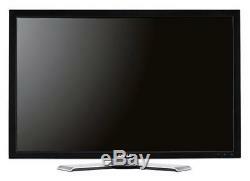 1 x DVI-D - 24+1 pin digital DVI 4 x USB 2.0 downstream - 4 pin USB Type A 1 x USB 2.0 upstream - 4 pin USB Type B. 24+1 pin digital DVI, 4 pin USB Type A. Power Consumption Stand by / Sleep. 24-bit (16.7 million colors). Due to popular demand we are now able to offer power + VGA/DVI cables. Track and trace information is provided as soon as it is available from our carriers. Our main carrier is POSTNL. We advise you to use a reputable carrier service when returning your goods. The item "Dell Ultrasharp 3007WFP 76 cm (30 Zoll) LCD Widescreen Monitor 2560x1600 DVI VGA" is in sale since Sunday, March 18, 2018. This item is in the category "Computer, Tablets & Netzwerk\Monitore, Projektoren & Zub. The seller is "it-refurb" and is located in Eindhoven.